It’s been one year since the Bulambuli community saving group Buyaga Vision first learnt the rules and regulations of holding their own saving groups on a weekly basis. And Joyce is taking no prisoners testing who can recall the core principles of saving. 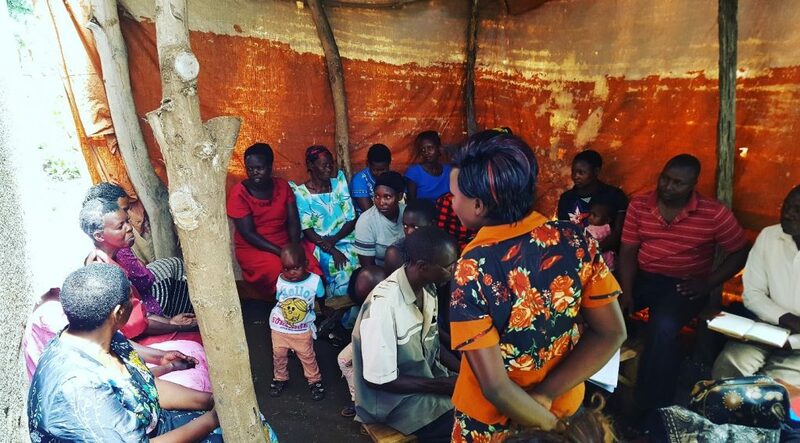 Joyce’s training sessions are based on the now well tried and tested Village Savings and Loans Association methodology – a simple approach that allows communities without access to financial services the opportunity to create safe spaces to save and borrow money together. “Of course things do not always run 100% smoothly,” Joyce mentions, explaining that sometimes borrowers are delayed repaying their loans due to personal circumstances, funds that should be set aside for social funds are lent out or disagreements occur between members. But it is through addressing such challenges that the groups become stronger, with the experience of overcoming difficulties and resolving conflicts being educational for all involved. 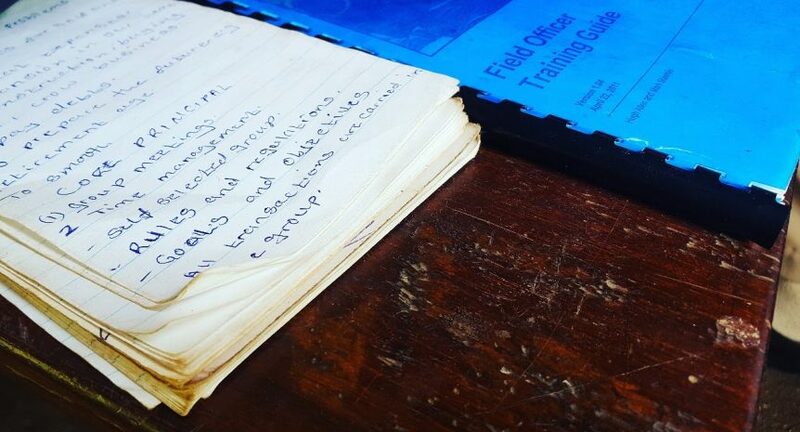 The refreshment training is crucial in this respect – for rooting out and issues and enabling the group to start the next yearly cycle with fresh eyes and clean books. The training also gave the members an opportunity to reflect on the last year, including the progress made and challenges faced. 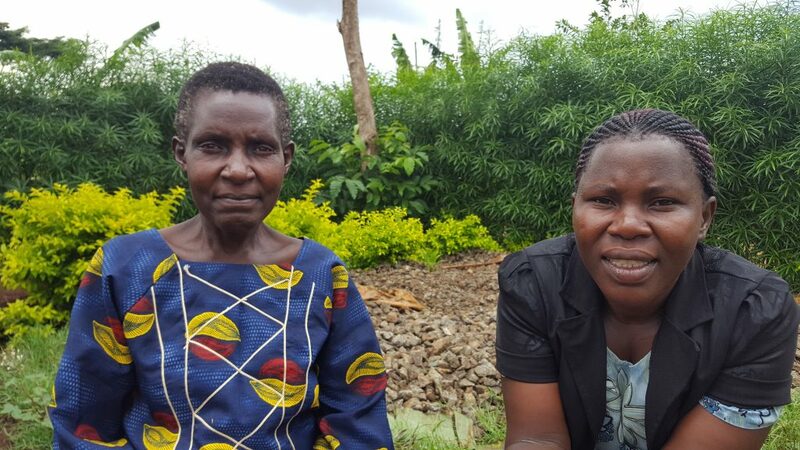 We spoke to some of the women who have been saving for over a year now: “Before I was suffering a lot but now I can have money for food even when the harvest is bad, such as now where the rain has not arrived as expected, because I haven’t spent it all at once,” said Mary. 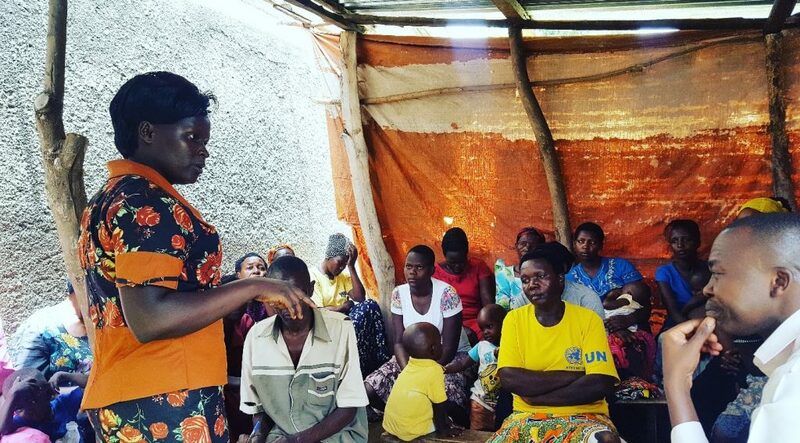 So after a solid year of practice and with the expert guidance of field coordinator Joyce, the women of Buyaga Vision are not only gaining new knowledge and skills but really perfecting the Art of Saving. Here’s to the next step for these savers: joining the burgeoning community of entrepreneurs in Bulambuli Valley through channelling their knowledge, skills and savings into innovative business ventures that will grow their income as well as their confidence #girlpower. By Sarah Bradbury, CfD Campaigns. Field Coordinator Joyce delivered refreshment training to CfD saving groups Buyaga Vision and Bameso over the last few weeks. For more information about our saving group programme and the different saving groups in Bulambuli Valley, please visit here. To support our projects, please make your donation here.